Cheap Printing Company Encino, CA : J-n-K Services Inc.
J-n-K Services, Inc. provides the best in class commercial and Printing Services, to hundreds of businesses. We are located in Encino and provide our services to local businesses, non-profit entities, private and public schools, in the surrounding Encino areas as well as nationally. We are grateful to all our clients for the glowing referrals and continual business as we celebrate 30 years in the printing company Encino. We provide a variety of types of printing services in Encino that include but aren’t limited to: business forms, full-color catalogs, restaurant menus, stationery packages, and bindery services at an affordable price. We use the most technologically advanced offset and digital printing equipment. 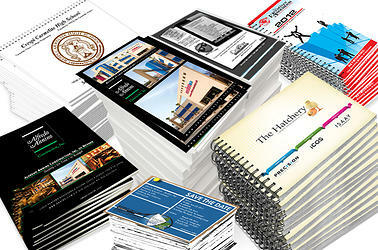 We also offer embossing, die-cutting, varnishing, and foils. We do our part to keeping the environment clean as we have eco-friendly options available. From long run full-color, high-quality print jobs to short-run, single color items, we can do it all. We are here to make your business shine and stand apart from your competitors!